One of the bigger parts of Mark Berven’s job is to develop ideas that anticipate customers’ future needs and then act on them. Nationwide Property & Casualty anticipates small business insurance needs through multiple fronts—with both independent agent and direct access for customers clearly in the mix, according to Mark Berven, president and COO. With Nationwide coming up on top of J.D. Power's latest ranking by small business insurance customers, Berven fielded questions from Carrier Management centered around one main one: How Are They Doing It?" Berven is president and chief operating officer of Nationwide Property & Casualty, a division that includes agency-based customer distribution, excess and surplus specialty insurance, agribusiness insurance, and the commercial and personal lines organizations. 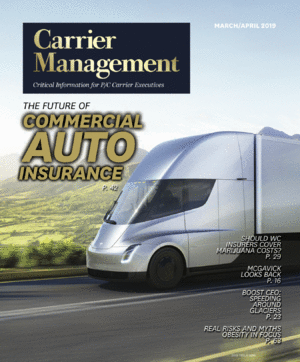 Here, Berven addresses questions about how insurers can satisfy customers and what Nationwide has been doing in particular to reach out to the small business insurance market from multiple points. Nationwide has targeted independent agents to reach this segment but also direct channel options—and Berven said there’s plenty of room for both.